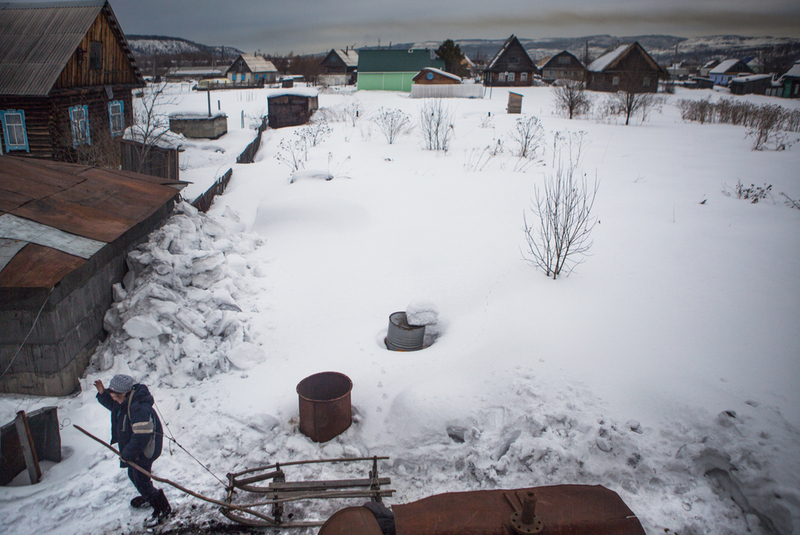 Raya Nitkina pulls a sled near her home in the village of Chuvashka, where mostly Shortsy native people live. The smoke filtering through the air emanates from strip mining explosions in the nearby strip mine. Ethnic Russians celebrate their wedding by realeasing doves at the fortress in Novokuznetsk.